Situated along the beautiful coastal area of Paphos, Hilltop Gardens can be reached from Paphos International Airport in under 30 minutes by car. Rooms here are clean, tidy and spacious with a kitchenette and living area to help make yourself at home in. 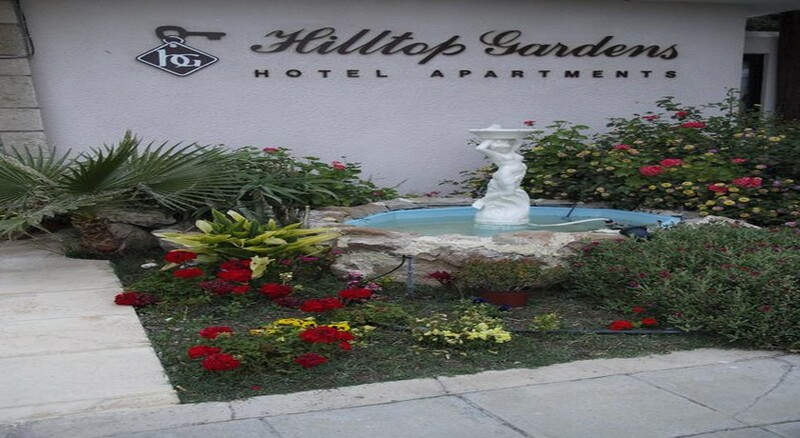 The hotel offers many facilities for a comfortable and convenient stay at Hilltop Gardens, including a cleaning service, safe, mini-market, tennis court, swimming pool and much more. Whilst there’s no restaurant here there are two bars where you can grab a drink and a snack. However, a short wander from Hilltop Gardens will take you to several great restaurants and bars or hop in a car and discover a wealth of options in central Paphos just a couple of miles south. Paphos also offers many exciting attractions such as the Tombs of the Kings historical site and Paphos Archaeological Park as well as two water parks, museums and the Paphos Zoo. 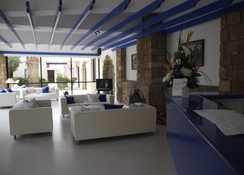 Hilltop Gardens sits just 15km from Paphos International Airport. Its coastal location puts it a just a few minutes walk from the nearest beach. The historical site of Tombs of the Kings lies just 500 meters away. Other top historical attractions include Paphos Archaeological Park, Paphos Mosaics and the Medieval Castle, all of which can be found clustered together less than two miles south. There several excellent restaurants and bars around the hotel but the biggest collection will be found in the centre of Paphos along with the tourist information centre, retail shopping at Kings Avenue Mall, two water parks and museums all less than three miles away. Guests are in for a relaxing and comfortable stay at Hilltop Gardens with rooms that are well-decorated, light and airy. 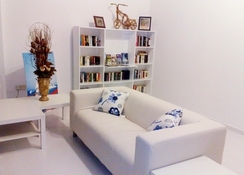 All rooms are furnished with essentials such as air-conditioning/heating, T.V., wi-fi, tea and coffee making facilities, safe deposit box and more. 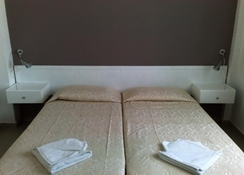 Standard rooms come with one or two twin beds. These rooms will also have a lounge area to spread out into with sofa beds that can convert to sleep an extra person. A kitchenette is also installed in each room, fully-furnished with cooker, fridge, toaster and more essentials so you can dine in. 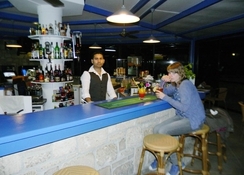 Whilst there isn’t a restaurant at Hilltop Gardens there are two bars, a snack bar and a poolside bar. There are lots of great dining out options in and around Hilltop Gardens. Within a short walk, you will find an Indian restaurant, Greek and Cypriot food and a top bar and grill where you can grab a fine burger or some lighter fare. Many more food and drink options are to be found in central Paphos with a huge array of restaurants catering to global and local tastes as well as bars, some of which overlooking the Mediterranean Sea as you drink and dine. 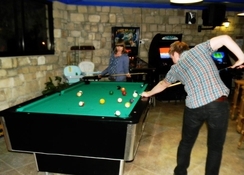 On-site activities include a tennis court, billiards and outdoor swimming pool as well as a shallower pool for children. There’s also a sun terrace where you can pull up a sun lounger and soak in the Cypriot sunshine. Alternatively, you may want to do that on the nearby beach where you can feel the fine sand between your toes and wade in the crystal clear the Mediterranean Sea. The amazing historic site Tombs of the Kings is easy to get to and full of rich history as are other sights such the Archaeological Park. Guests wishing to have fun and cool off at the same time will love the waterparks and Paphos Zoo provides a fun day out for all the family. 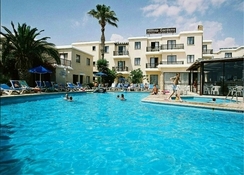 15km from Paphos International Airport. Five-minute walk to the nearest beach. Lovely clean hotel room which was cleaned everyday, very spacious with lovely view from the balcony. Staff were lovely and couldn't do enough to help you. Easy access to busses which ran regularly. Would recommend.